This game is available both in English and Spanish. In the midst of a quiet and peaceful island, strange creatures begin to arise and awake all of its inhabitants' questions. Intelligent and human-like, they will spark a young woman's curiosity, who will dig deep into their origins and motivations to understand who they really are. This is a demo which contains about 10 minutes of gameplay that represent the first scene in the story. You will play as a female protagonist, a young vlogger that just heard rumours about some mysterious sightings in a nearby forest and is more than ready to head in and take a look at what's happening around. 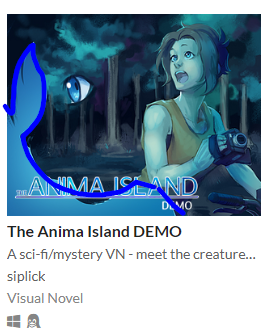 This demo contains no voice acting, but you can activate auto-voicing by pressing V. The rest of the controls are easy and you'll be able to play with just a mouse. 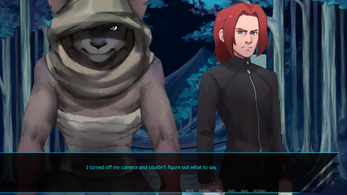 Edit Jan 27th: fixed typos in English ver + fixed Mac ver in both languages. This VN is currently in progress and there is no release date planned yet. 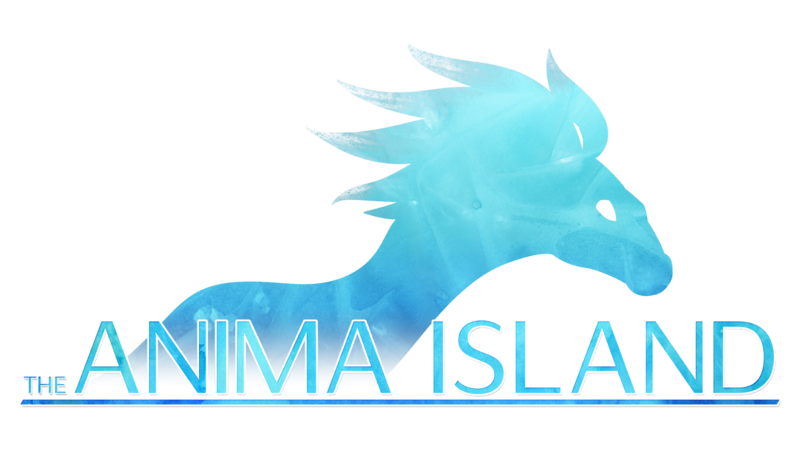 The completed game will feature multiple endings, optional branching routes that will let you learn more about the Island and its characters, and a true end. 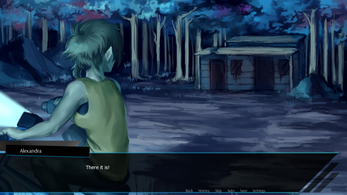 Improved sprites and CGs, as well as a CG gallery. Improved sound effects, as well as character voice beeps. If you'd like to suggest anything else, then by all means - please do so! Because this is a project I'm doing pretty much on my own and I want to pay every other person that is involved in it for their work, I would truly appreciate any kind of support. You can find me at Ko-fi and I have an online store, too (it's got TAI merch!). Alessandro "Somax" Melaiu, for his support and help in TAI's plot and development. EternalSushi [YouTube], for the wonderful music he composed for TAI. ...and to everyone who's been following and supporting the project thus far! Once you have downloaded the files for your OS, you can use the executable file to begin playing. Demo was pretty decent. I'll keep my eye out for the full release. It's more of a velociraptor-ish character. I'll take it into account in case I get to remake the icon/logo! 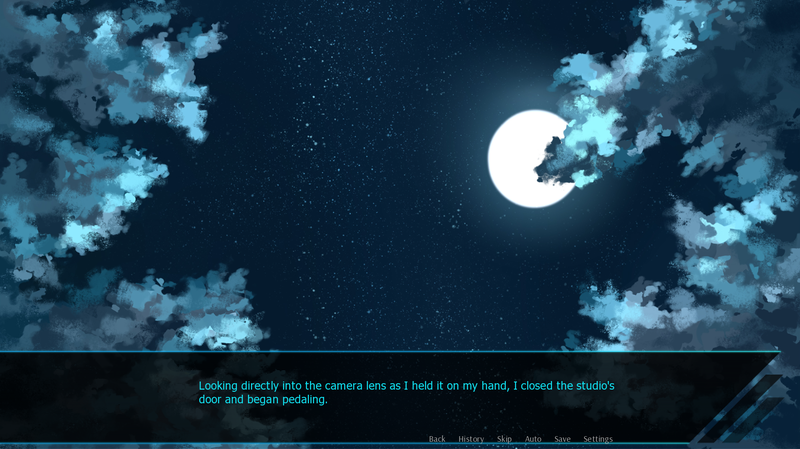 While I'm not a visual novel expert, I can tell a lot of love and care went into this demo. First of all: The art is gorgeous! The several backdrops are well crafted and really create atmosphere. The characters are drawn really nice aswell, especially the non-human characters. Finally, I really dig the look of the ui and menus, they're simple, yeah, but in a professional looking way. The music was also a pleasant surprise. From the moment you boot the game up and hear the calming, yet forboding, title screen music until the tense moments. While I won't listen to it outside of the game, It is generally very pleasant to listen to while you enjoy the story. speaking of the story: I find the writing decent, although I found a few typos during my playthrough. (I was playing the english version) It's good enough to hold my intrigue and I'm looking forward to what you make of this game! I will review the English version and fix the typos soon, thank you for bringing that up as well! I loved the music and sound effect, though I was hopping to listen some heartbeat when the Mc was entering the underground. Also, I liked the plot, I makes me rememeber The Island of Doctor Moreau. I wish you luck in your project.